Cork Canine Rehabilitation Centre (CCRC) are currently seeking a Small Animal Rehabilitation therapist to cover maternity leave. The centre is currently operated by two full-time Rehabilitation Therapists and a Physiotherapy assistant. Qualifications in Small Animal Rehabilitation therapy, Veterinary Physiotherapy or Canine Hydrotherapy will all be considered. 1-2 years post graduate experience in small animal practice. Exceptional new graduates may be considered. The selected therapist is expected to play a key role within the rehabilitation team and will assist in the day to day running of the centre. 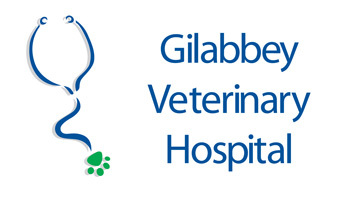 This will involve assessing and treating in-patients and out-patients of Gilabbey Veterinary Hospital, patients referred to CCRC from referring veterinary practices. The successful applicant will be expected to develop home exercise programs to meet the patient’s individual needs. Treatment may be a combination of land and water based physiotherapy. The successful candidate will be expected to communicate with hospital staff, clients and referring veterinary surgeons through verbal and written communication. Maintaining hospital records with appropriate clinical information and pricing is important. Our fully operational physiotherapy/hydrotherapy suite contains a hydrotherapy pool, Biomag PEME and LASER, TENS, NMES, and various therapeutic equipment.